mean the end of your business. For every American business, the looming threat of Amazon has spurred a total reimagining of how to sell. You can now fight the marketplaces by taking direct control of all sales and distribution channels – if you have the right tools for the job. 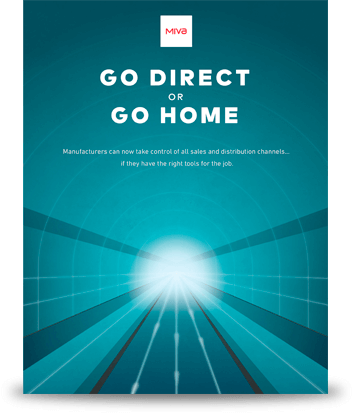 In this in-depth report, we take a look at how modern omnichannel ecommerce is opening new direct sales pathways from manufacturer to every kind of customer. Stay on top of this important trend, and learn how to apply direct sales models to your online business. To instantly view/download this free 11-page PDF booklet, please enter your details. We will never share or sell your personal information for any reason.